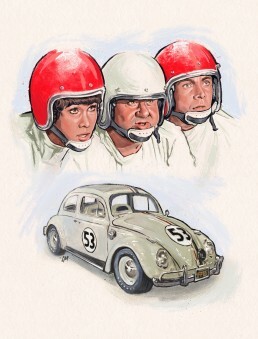 I’ve been developing this loose, painty style and thought it worked for old-school stuff like Herbie! Not a poster but more of an illustration. If it were a poster that car would be floating above the road a bit (going fast), or surfing, or up a tree. I loved these movies as a child.